In 1966, Frank and Gina Giambattista purchased a small community confectionary at 1611 Victoria Avenue. The confectionary would soon come to be known as the Italian Star Deli. Initially the first-generation Italian couple imported foods based on personal need; items that had been readily available in their native Italy. Before long, Frank and Gina realized there was a strong demand for the same ingredients they were importing for their own use. With a commitment to providing only the freshest and highest quality foods, the Giambattista’s specialty store and delicatessen rapidly gained popularity. Nearly 50 years later, the Italian Star Deli stands as a much beloved and celebrated local gem.  Known just as well for its unique offerings as it is for its warm and welcoming atmosphere, visiting the Italian Star Deli is like visiting family…an Italian family you never knew you had! Megan Jenkins, Avery Strong, Melanie Giambattista, Gino Giambattista, Marina Giambattista, Amy Lawrence. Like her father before her, Marina was raised within the loving walls of the Italian Star Deli. When she was just a small girl, her father Carlo would bring Marina to the deli while he worked. During her early years Marina learned a lot from her father and Nona, including the importance of putting the customer first. Today she works as a hands-on deli specialist and carries on the family tradition of providing great service with a smile. Frank and Gina’s youngest son, Carlo Giambattista, currently oversees the daily operations at Italian Star. For more than 30 years, Carlo worked side-by-side with his mother, learning the ins and outs of running a business and taking customer service to an entirely new level. Known for his infectious smile, curly locks and gift of the gab, Carlo genuinely cares about his customers… and it shows! Though the spunky businessman has become a fixture in the popular deli, he wasn’t always focused on taking over the family business. As a young boy, Carlo had visions of becoming a professional musician and touring with his band. At 19, Carlo traded his drumsticks for the pepperoni variety and strapped on an apron that would seldom leave his neck over the next 30 years. Today Carlo proudly carries forward the Giambattista tradition of providing excellent product and exceptional customer service. He continues to work alongside his mother Gina, as well as his daughter Marina. In November 2012, Carlo became part owner of Fortuna Ristorante Italiano, an authentic Italian Restaurant in East Regina. Gina Giambattista is the very heart and soul of the Italian Star Deli. Her hard work, expert culinary skill, and generous way with customers has allowed the deli to thrive for nearly half a century. Born in Vinchiaturo, a small village in mountainous Molise, Gina was raised on traditional peasant-style dishes and learned the basics of la vera cucina italiana (true Italian cooking). 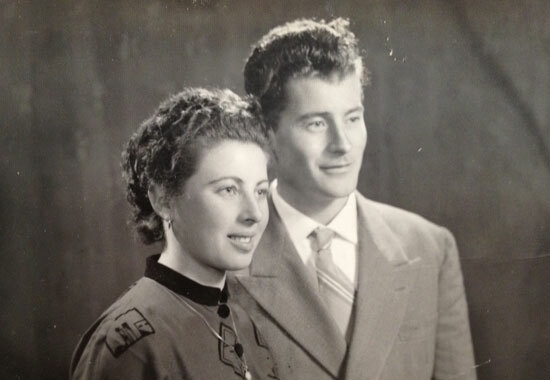 In 1956 she married Frank Giambattista and shortly thereafter followed him to Canada with hopes of providing a better way of life for their future children. Gina was just 27 when she first came to Regina, and the frigid prairie winter had her immediately pining for her native Italy. Perseverance and determination kept Frank and Gina in the city, and in 1966 they purchased a small community confectionary at 1611 Victoria Avenue. 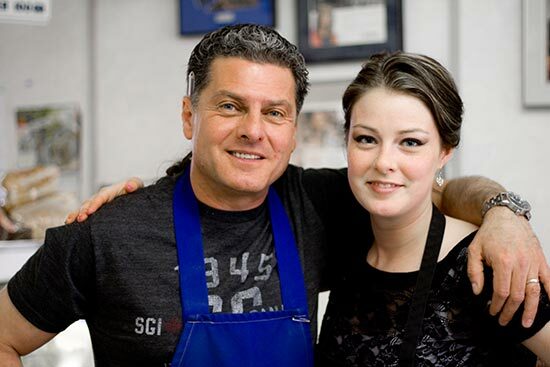 While Frank worked full-time with the City of Regina, Gina was committed to running the specialty store and delicatessen. It was her face that customers would come to know and love. Gina offered a shopping experience unlike any other in the Queen City. Customers were treated to not only the freshest and tastiest ingredients around, but also a genuine smile and brama di vita (lust for life)! In 1979, Gina’s youngest son Carlo would join her in the deli full time. Together, the mother-son team have perfected ethnic cuisine and the art of providing exceptional customer service.